On a warm evening at Farnsworth Park, the PALL 8-10 year old team brought home the District 17 banner by defeating San Marino by a shutout score 11-0. In a game dominated by the pitching performance of Charlevoix, it was only fitting that eleven individual Pasadena American players crossed the plate to build up a lead allowing the game to finish in 5 innings. Solid defense and putting runs on the board was a team effort. 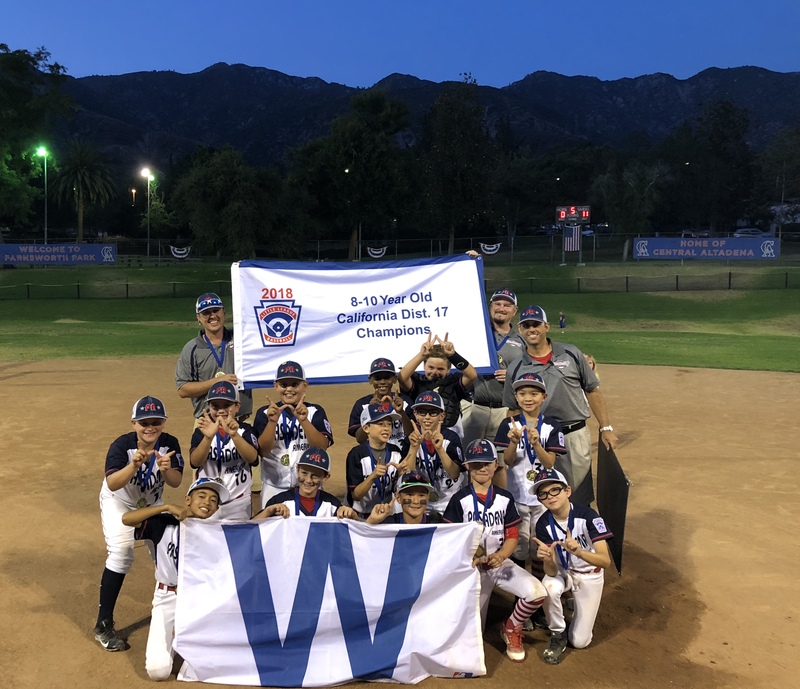 The five game journey to achieve the title included a close 2-1 opener against a stubborn Central Altadena team and what ended up being a 3 game series with San Marino National Little League. Congratulations are in order for Adam, Andy, CT, Dylan C, Dylan H, Evan, John, Logan, Luke, Robert, Toby, Tyler and Wyatt. Also, a huge shout out to Manager Valenzuela plus Coaches Charvat and Danni for bringing the banner to PALL. We are so proud of you all. Go PALL!